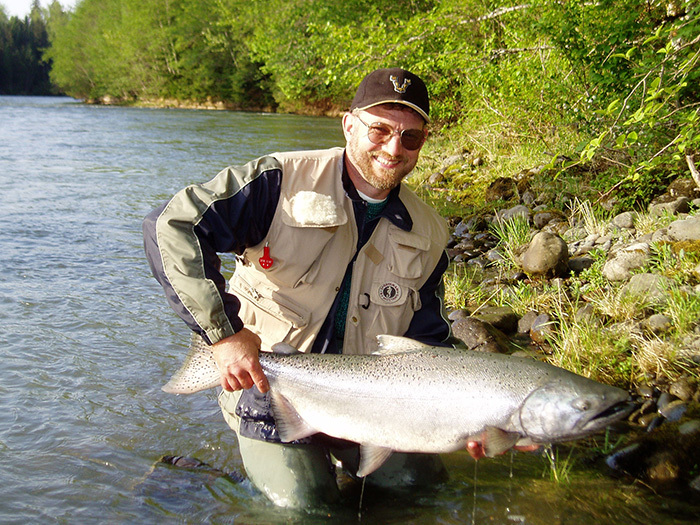 Located at the epicenter of the best wild salmon and steelhead fishing on earth, Terrance, British Columbia. The river front lodge has spectacular views of the Skeena River and Sleeping Beauty Mountain. Flexibility to fish many different rivers in the Skeena Valley. Specializing in small intimate groups, a party of six or more has exclusive use of the lodge. Fish wild salmon and steelhead in B.C. Experience truly memorable British Columbia fishing. Located at the epicenter of the best wild salmon and steelhead fishing on earth, TERRACE, BRITISH COLUMBIA! Our river front lodge has spectacular views of the Skeena River and Sleeping Beauty Mountain. 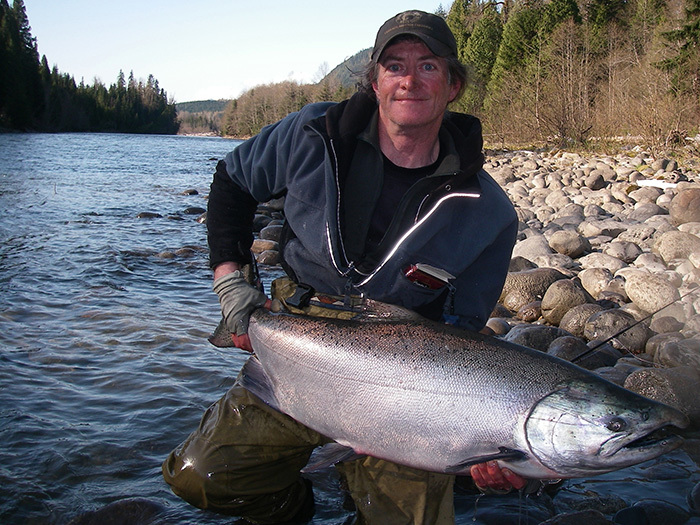 We specialize in providing destination-fishing packages in northwestern British Columbia. Z-BOAT LODGE RIVER GUIDES has the flexibility to fish many different rivers in the Skeena Valley, offering an eight-month season with outstanding salmon and steelhead fishing. 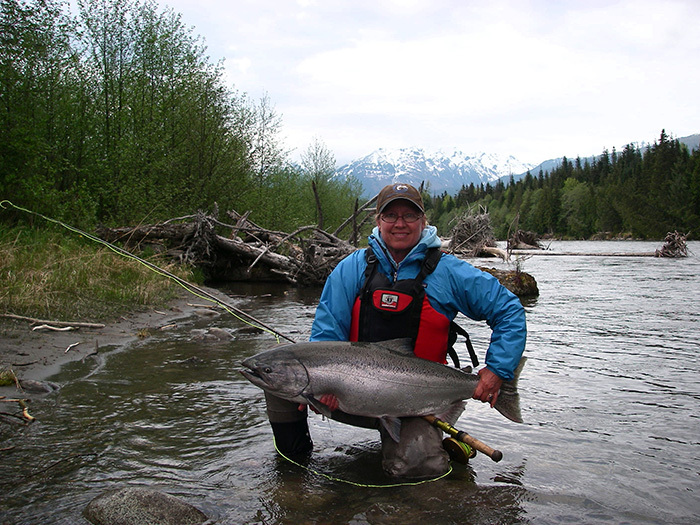 Our guides are licensed to fish all four sections of the world-renowned Skeena, plus its famous tributaries: the Copper River, Kalum River, Ecstall River, and others. You will find steelhead, Kings (Chinook), Coho (silvers), sockeye, pink, and chum salmon; rainbow, cutthroat, dolly varden, and bull trout all native to the watershed. The steelhead and salmon are some of the largest in the world! The Nass River and its tributaries, the Kitimat River and other remote coastal rivers are exciting options. YOUR HOSTS, BRAD and KIM ZEERIP, cater to your needs with friendly, personalized service. Specializing in small intimate groups, a party of six or more has exclusive use of the lodge. Guest rooms are private, each with its own bath. After a day's fishing, relax in our comfortable lodge room with pool table and bar. Fresh seafood and gourmet quality home cooked meals are our specialty. LIVE YOUR DREAM to fish wild salmon and steelhead in B.C.! Enjoy spectacular mountain scenery with snowcapped peaks, granite faces, glaciers, waterfalls and old growth forests. View wildlife: moose, bear, seals, wolves, fox, and eagles galore. 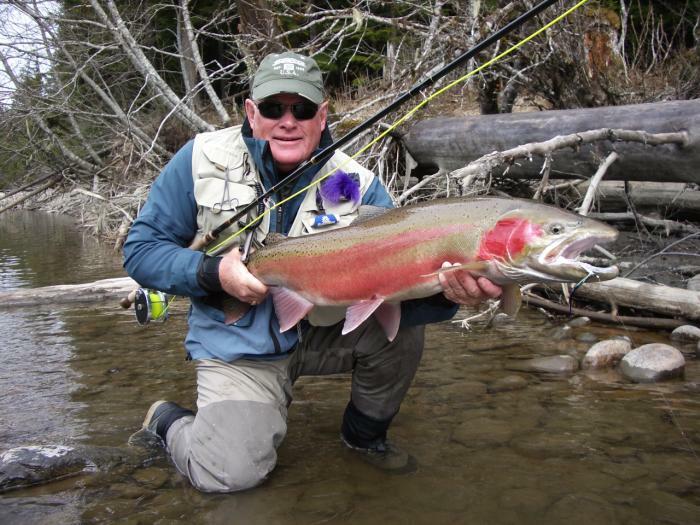 FISH WITH US AT Z-BOAT LODGE and experience truly memorable British Columbia fishing! We offer many options. Swing a streamer for kings, or skate a dry fly for steelhead. Fish small tributaries or cast in tidal pools for bright rolling salmon. Our experienced guides use specially designed boats and top quality gear that provide comfortable, safe transportation. For those desiring the ultimate fishing experience, our helicopter packages offer an exciting adventure in flying, fishing and wilderness exploration.